Led by Michael Lund Petersen's Grade 1 winner Mor Spirit, nine graded-stakes winners are among a dozen older horses set to contest a competitive edition of the Grade 1, $1.2 million Mohegan Sun Metropolitan Handicap Saturday at Belmont Park. The 124th running of the Met Mile for 3-year-olds and up is one of nine graded stakes and the second-richest on a 13-race program highlighted by the 149th renewal of the Grade 1, $1.5 million Belmont Stakes presented by NYRA Bets. It is carded as Race 9 (4:41 p.m.) and will be part of the NBC Sports Network national broadcast from 3-5 p.m. NBC picks up the coverage from 5-7 p.m. capped by the 1 ½-mile 'Test of the Champion,' which has a post time of 6:37 p.m. The Met Mile is also a “Win and You're In” qualifying race for the Grade 1 Breeders' Cup Dirt Mile November 3 at Del Mar, and is the second leg of a $1.5 million guaranteed all-Grade 1 Pick 4 that also includes the $700,000 Just a Game in Race 8 and $1 million Woodford Reserve Manhattan in Race 9, and is anchored by the Belmont. Mor Spirit, a 4-year-old Eskendereya ridgling making his New York debut, is a narrow 5-2 favorite in the Met Mile over fellow multiple graded stakes winner and 122-pound highweight Sharp Azteca (7-2). Mor Spirit will carry 120 pounds including Hall of Fame jockey Mike Smith from post 9. Though Bob Baffert is confident Mor Spirit can handle the distance and the company, the Hall of Fame trainer is concerned about the one-turn configuration of mile races at Belmont Park. His other one-turn races came in his fall 2015 unveiling and the Grade 1, seven-furlong Malibu last December – his first race since running 10th in the 2016 Kentucky Derby. Last June, the Baffert-trained Cupid finished last of five as the favorite in the 1 1/16-mile Easy Goer on the Belmont Stakes undercard, a race also contested around one turn. 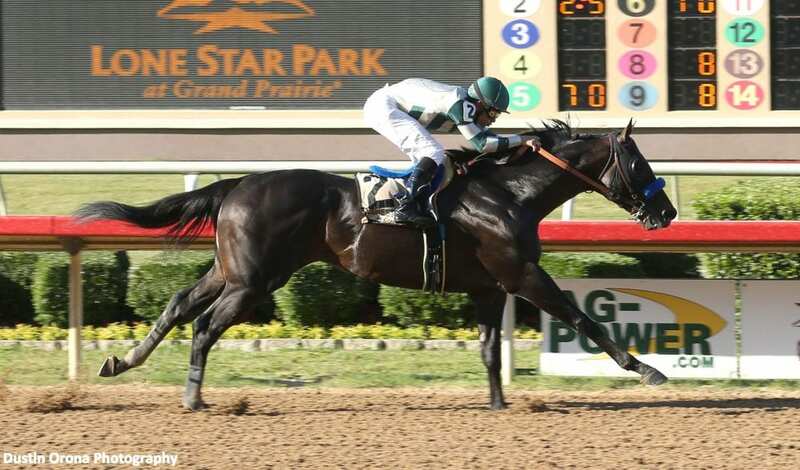 Mor Spirit enters the Met Mile on a two-race win streak, most recently a front-running 5 ¾-length triumph in the Grade 3 Steve Sexton Mile May 7 at Lone Star Park. He won the Grade 1 Los Alamitos Futurity and Grade 3 Bob Lewis while on the Triple Crown trail last winter. Expected to give Mor Spirit company on the front end is Ivan Rodriguez's Sharp Azteca, making his first start since finishing third by a length in the Group 2 Godolphin Mile March 25 at Meydan. He will have a new rider for the Met Mile in Paco Lopez, breaking from post 5. Trainer Jorge Navarro gave Sharp Azteca plenty of time to recover from his trip to the Middle East. The 4-year-old son of Freud has finished in the money in nine of 11 career starts with five wins, four coming in five tries at the distance, including the Grade 2 Gulfstream Park Handicap February 11 and the Grade 3 Pat Day Mile last May. “Sharp Azteca came out of the race in Dubai in great condition. We gave him some time and he recouped really fast,” Navarro said. “He's had four workouts here at Monmouth Park and he's worked super. He's doing great for the race. Shadwell Stable's multiple Grade 2 winner Mohaymen (20-1) enters the Met Mile looking to return to the form that had him as one of the leading Triple Crown contenders last spring. He returned from an 8 ½-month break between races to run fourth in the Grade 3, one-mile Westchester May 6 at Belmont. Mohaymen, to be ridden for the first time by Jose Ortiz from post 6, is trained by Kiaran McLaughlin, whose Frosted won last year's Met Mile by 14 ¼ lengths in 1:32.73 – both records. McLaughlin also won in 2008 with Divine Park. Two-time Met Mile-winning trainer Todd Pletcher has a pair of Paul Pompa Jr.-owned contenders in multiple Grade 3 winner Tommy Macho and Rally Cry, making his graded stakes debut. Tommy Macho was third in the Grade 1 Carter on April 8 at Aqueduct following a troubled trip, while Rally Cry is coming off a 1 ½-length allowance triumph going 1 1/16 miles April 30 at Belmont. Rally Cry (5-1) will break from post 2 with Hall of Famer John Velazquez, while Luis Saez has the call from post 11 aboard Tommy Macho (10-1). GMB Racing's Tom's Ready (15-1) returns to Belmont for the Met Mile one year after his 7-1 upset of the Grade 2 Woody Stephens on the 2016 Belmont Stakes undercard. The 4-year-old More Than Ready colt won the Grade 3 Ack Ack at a mile last fall and was third by less than a length in his only start this year, the Grade 2 Churchill Downs Stakes May 6. The winner of that race came back to take the Grade 3 Aristides June 3. Javier Castellano will ride Tom's Ready from post 8 for trainer Dallas Stewart. Castellano won the first of his two Met Miles in 2005 with Ghostzapper, who he will join in the Hall of Fame this summer. Completing the Met Mile field are multiple graded stakes winner Awesome Slew (6-1), second by a head in the Churchill Downs last out; Denman's Call (15-1), winner of the Grade 1 Triple Bend March 11 at Santa Anita; Economic Model (15-1), winless since a victory in last June's Easy Goer at Belmont; Grade 1 Oaklawn Handicap winner Inside Straight (15-1); 2016 Grade 3 Midnight Lute winner Solid Wager (15-1); and Westchester runner-up Virtual Machine (30-1). This entry was posted in Racing and tagged belmont park, Horse Racing, Met Mile, Metropolitan Mile, mohaymen, mor spirit, nyra, sharp azteca, thoroughbred by NYRA Press Office. Bookmark the permalink.